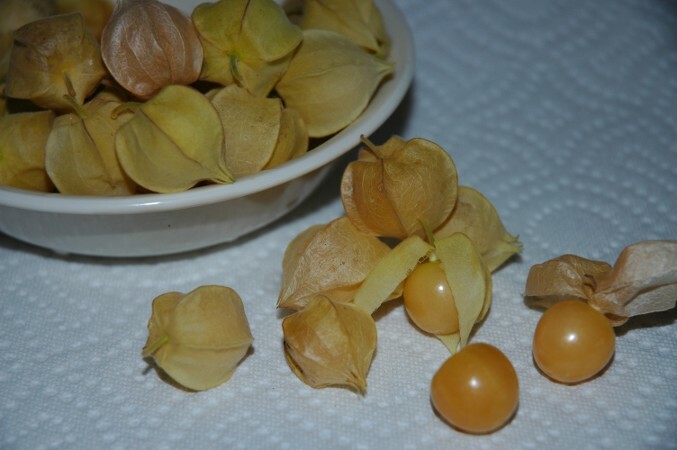 These are ground cherry. They are … weird. I think I like them. We have only one plant this year, but it produced quite a lot of fruit. You wait till they fall off to eat them. The texture is like a grape, but “meatier”, and the taste finishes like a starfruit … maybe. 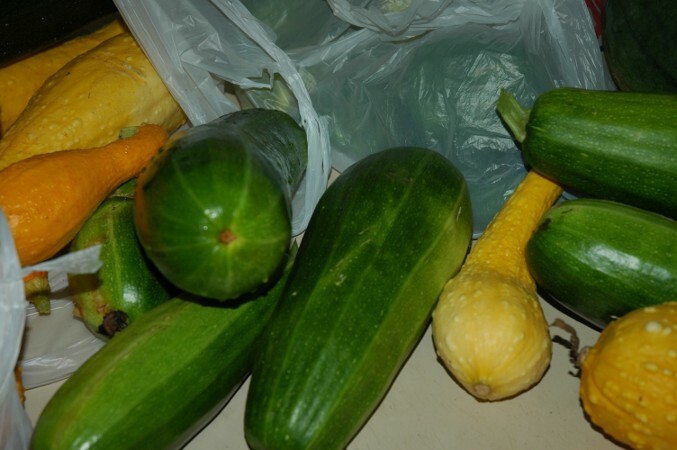 What do you do with jumbo zucchini? Make jumbo zucchini-aid .. no .. wait, that’s a terrible idea! Instead, we decided to make “zucchini chips” in the dehumidifier. We tried various flavorings: salt+peppered, onion powder, and garlic powder. They take 24 hours in the dehumidifier at 135°F. The chips are crunchy and flavorful and make us wish we had more zucchini. 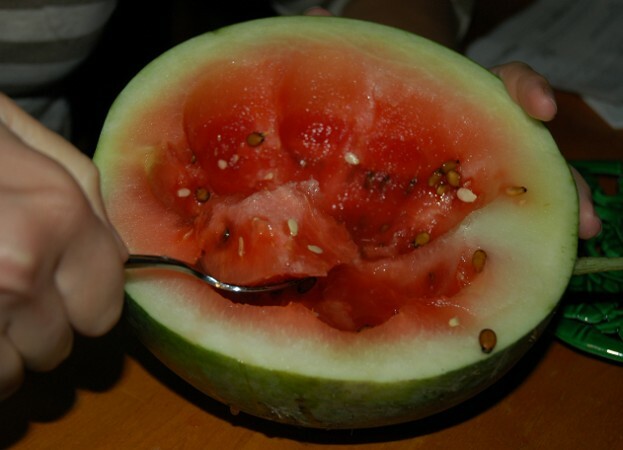 Robin planted several melons, but only one produced a full size watermelon. She was very excited by this, and ate the whole thing tonight. 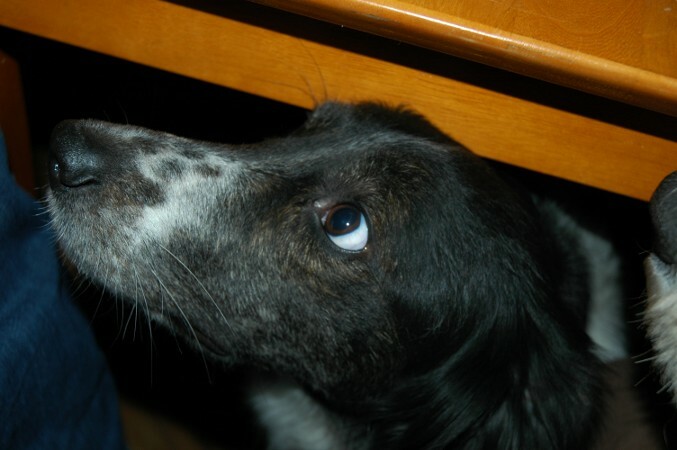 My dog watched with sad eyes and felt abused. 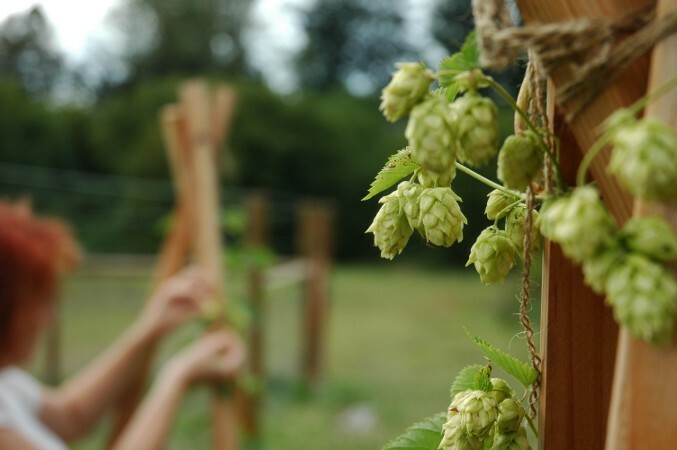 I planted 4 Cascade Hops bines in the spring and grew them on bean poles. They did pretty well, with most growing 8′ long and all setting at least a few flowers. I tore a few flowers open during the season to check on their progress, and the last one was packed with yellow lupin and smelled of wonderfully hoppy northwest beer. 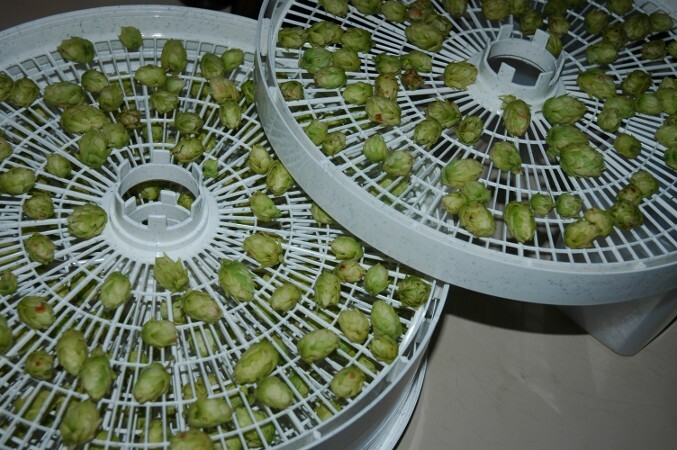 We picked the hops just before the first big rain, and put them on trays in the dehumidifier for 12 hours on the lowest setting. The final result was papery with open petals. I separated them into zip-lock bags by weight and froze them. 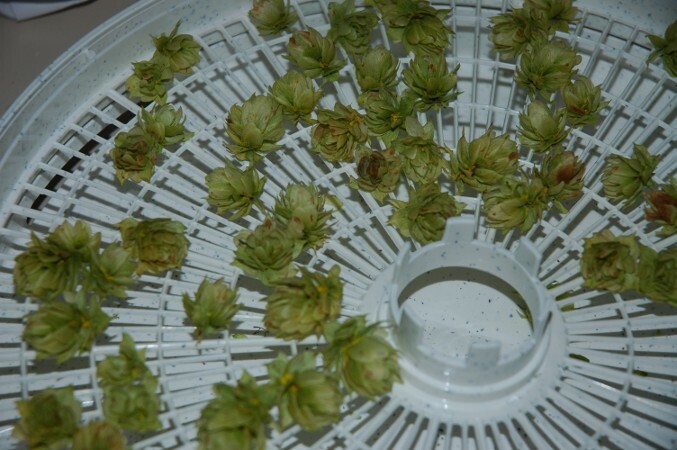 For anyone interested in the numbers, I started with about 3oz of fresh hops (dried on the bine as long as possible). 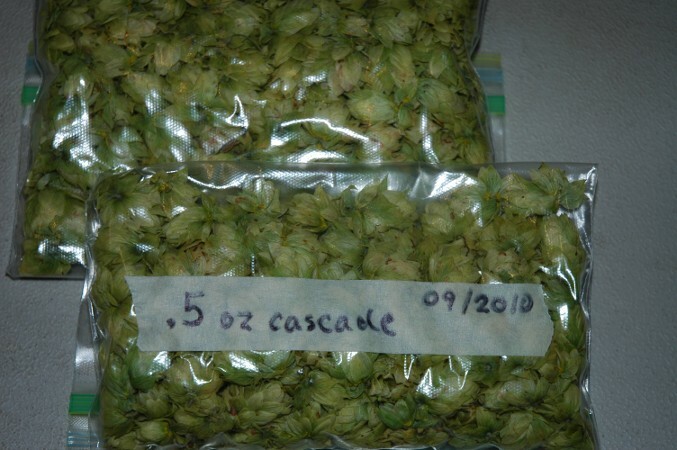 I ended up with 1.15 oz of dried hops–a 60% reduction in weight. I was feeling pretty proud of my little 1oz first year crop, until a neighbor told me that their harvest would fill a 30gal drum! We dug the last of our potato rows, and despite the problems, it was a pretty good year. 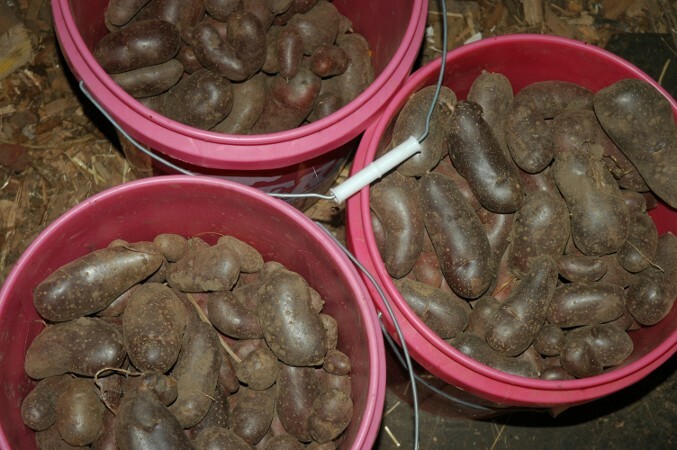 We harvested about 5 five-gallon buckets full of red, white, and yukon potatoes. 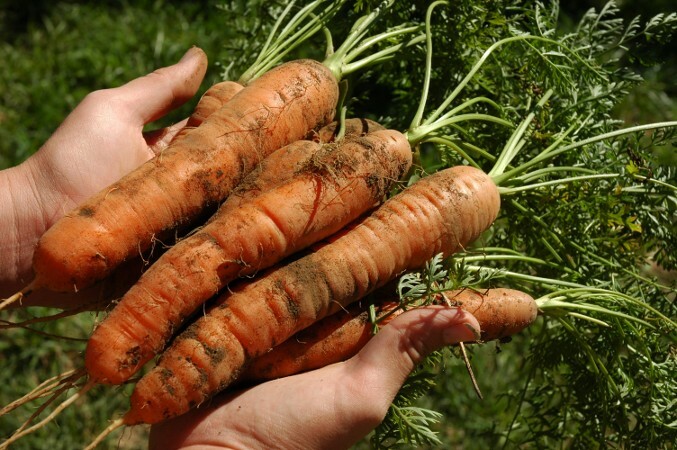 Although the blight certainly impacted our crop size in some rows, the blight-free certified row suffered the most from a serious rodent infestation. 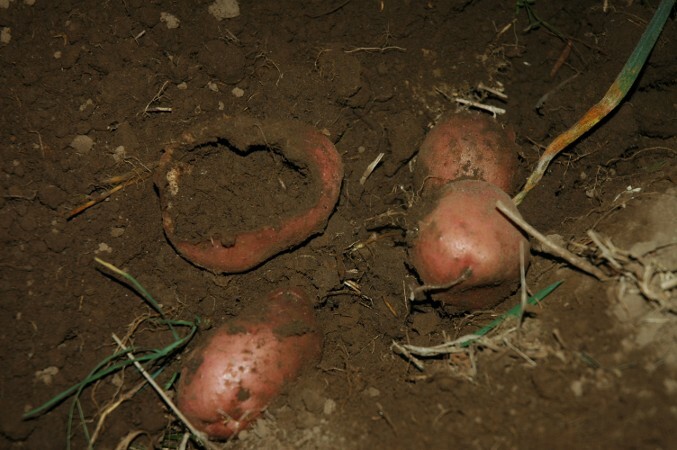 We are going to have to spend some time this winter trapping gophers and voles, as it’s frustrating to dig up potato shells instead of whole potatoes. Thank goodness we aren’t vegan .. we’d starve! 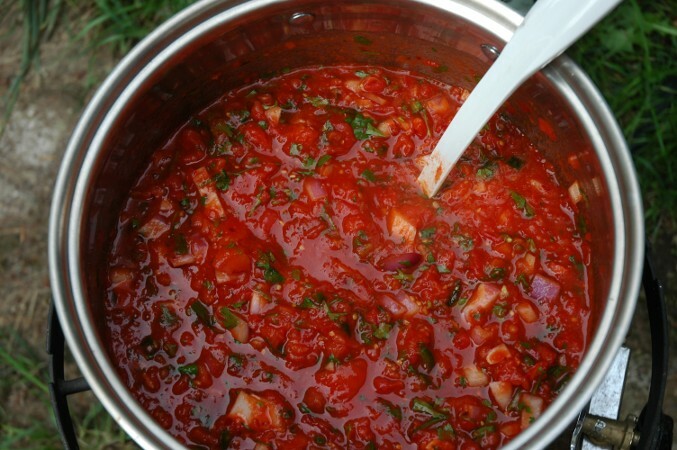 Your salsa looks great! Congrats! 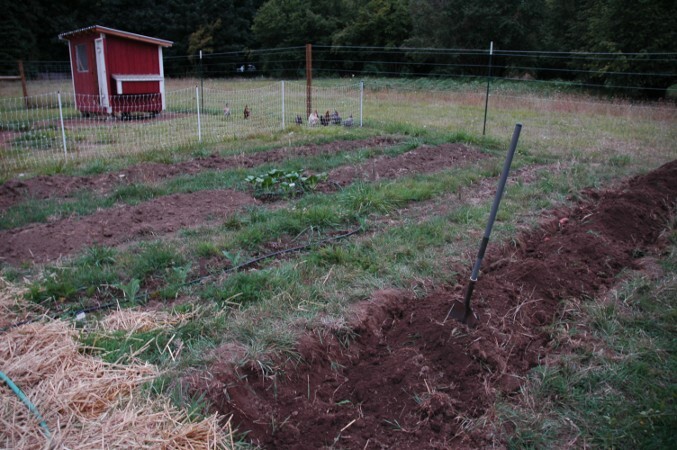 The next time we have a bumper crop of zucchini, I want to try those chips – they sound great. 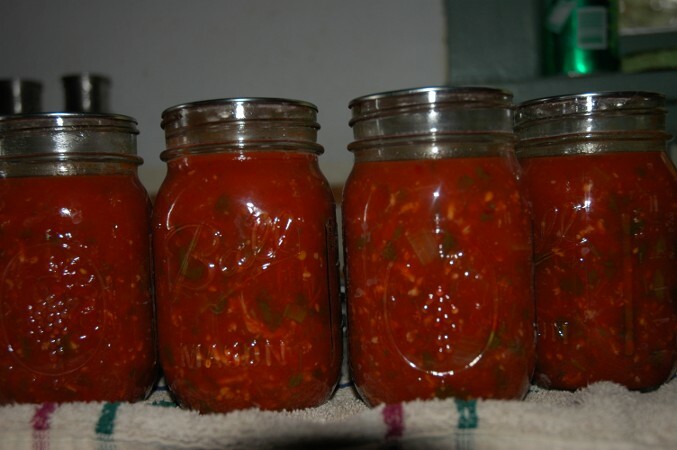 Aren’t tomatoes pretty in glass canning jars? And I never thought of making zucchini chips. 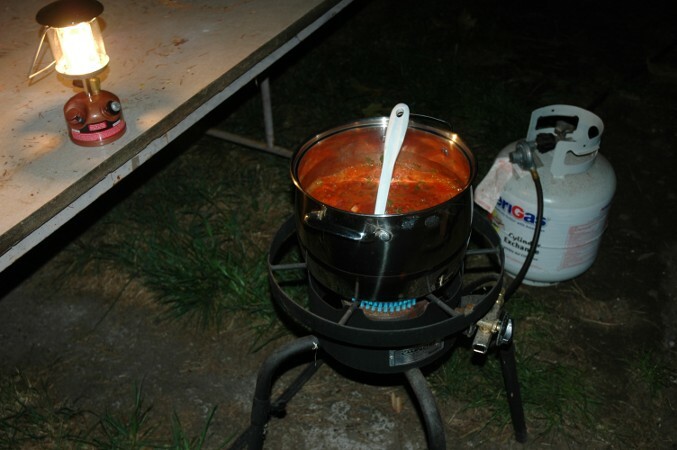 Hmmm… It might be a great way to add more veggies into the ol’diet. Thanks!! The salsa sounds yummy. I’m getting hungry just thinking about it. I’m impressed that your zucchini chips got crunchy. 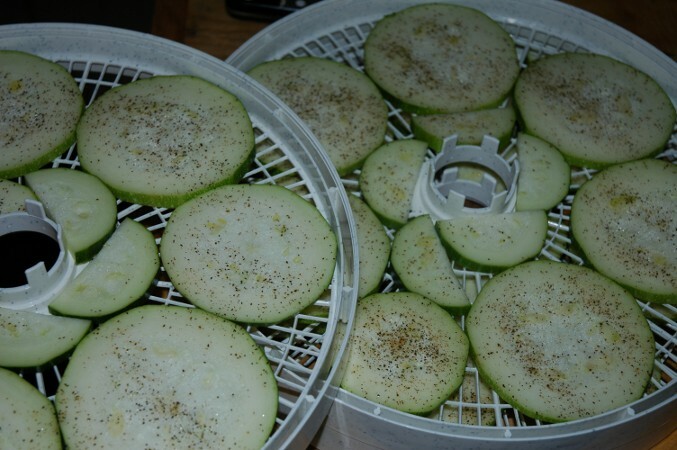 I tried dehydrating yellow summer squash last year, but not for so long so I didn’t get crunchy results. I’ll definitely have to try them again. Maybe next year because I doubt I’ll have any leftover zucchini from our few late planted plants. I’m curious about the ground cherries. Did you preserve any? I’ve heard they make good jam. I’ve never tried them before though. Benita – I added a picture of the final zucchini chip result. We have done 3 batches now. Not sure if we will get enough zucchini to do another. With the right spices, they are definitely an easy way to eat your veggies! We didn’t try making jam, although I see more ground cherries out there. It’d be an interesting project. I’d never even heard of ground cherry jam until I read this post just recently. Zucchini chips is a wonderful idea! Last year I had so many zucchini I didn’t know what to do with them all. Next time, I’ll be making zucchini chips! Thanks for the idea! The salsa sounds so very good, too. I think I’m getting hungry reading about the ground cherries, the watermelon, the carrots… And I’m getting thirsty thinking about homemade beer! Wait, it’s only 10AM! !